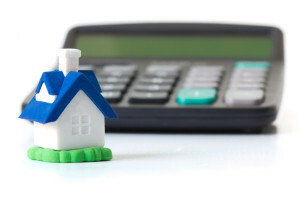 While most people know and understand the different costs incurred when buying a property, many remain unaware of the costs and fees charged by estate agents as part of the property rental process. In this week’s blog, we’re going to look at the fees you can expect to be charged when renting a new property and what, if anything, you can do to minimise the overall cost of setting up your rental. Before we get into the detail, it’s worth bearing in mind that each estate agency can set its own fees for the service they provide and so you’ll find that the rates can and do vary between companies. A recent Advertising Standards Agency ruling means that agents should now clearly display their ‘compulsory’ charges alongside the rental prices of properties and it’s a good idea to speak to a few agencies up front and find out exactly what they charge. Armed with this information you can, if you wish, try to rent a property from an agency at the lower end of the fee scale. The main fee you can expect to pay to your estate agent when renting a property is usually referred to as a general ‘administration fee’. This fee covers the cost of processing your rental application, including the drafting of the tenancy agreement, verifying your references and conducting a credit check. This fee can vary dramatically between agencies – a recent survey (*) showed that tenants in London are being charged an average of £220 in administration fees but the highest administration charge they found in London was £600. Many agencies will also charge you additional fees over and above the standard rental feel for services that many feel should come under the main administration fee, such as getting a credit check done and checking prospective tenant’s references. It’s a good idea to be very clear on any extra charges that might come your way, so that they are not a surprise to you or your bank account! And the fees don’t stop when you have moved into the property. If a new resident moves into the property, you will be charged to have their name added to the tenancy agreement and if you choose to renew your lease, you may be charged a further fee at that point too. Unfortunately, it’s a harsh fact that many of these fees are simply unavoidable. With competition so high from tenants for rental properties in London, there is a sense that the agencies can charge what they want, because they know that someone somewhere will be willing to pay them to secure the property. So while you can’t avoid the fees, what you can do is be very clear from the outset about what the charges are, and query anything charge that is either unexpected or higher than stated when you started the process. (*)Survey undertaken by Rentify in October 2013, polling 1000 letting agents across 6 UK cities.